During this holiday season give the gift of knowledge and adventure. Edgecombe and Nash counties roots are deep in storytelling through song and words. In the Twin County Hall of Frame, we have three inductees nationally-known for their way with words as we would say. Rocky Mount native Allan Gurganus studied at the Pennsylvania Academy of Fine Arts as a painter before serving in the US Navy. It was during his time in the service in the Vietnam war he began writing. He is recognized as a novelist and short story writer. 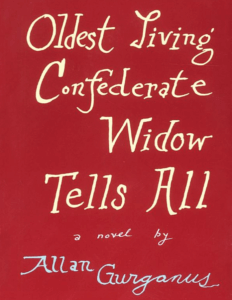 Gurganus published his first novel in 1989, The Oldest Living Confederate Widow Tells All, which was on the NY Times bestseller list for eight months. It received the Sue Kaufman Prize from the American Academy of Arts and Letters. The novel was a selection of the Book of the Month club and sold over 4 million copies. The story was made into a TV special movie with Cicely Tyson winning an Emmy for her performance as Castalia. It was later made into a one-woman Broadway play starring Ellen Burstyn. His other books include White People, a collection of short stories which received the Los Angeles Times Book Prize; a novel Plays Well with Others, and The Practical Heart, a collection of novellas which won a 2001 Lambda Literary Award. Gurganus authored a story for A Family Named Spot: Photographs by Burk Uzzle in 2006. Local Souls was published in 2014 then Decoy: A Novellas in 2015. His stories and articles have been published in The New Yorker, The Atlantic Monthly the Paris Review, and the New York Times Magazine. His stories have also appeared in the O.Henry Prize Collection, Best American Short Stories, and the Norton Anthology of Short Fiction. 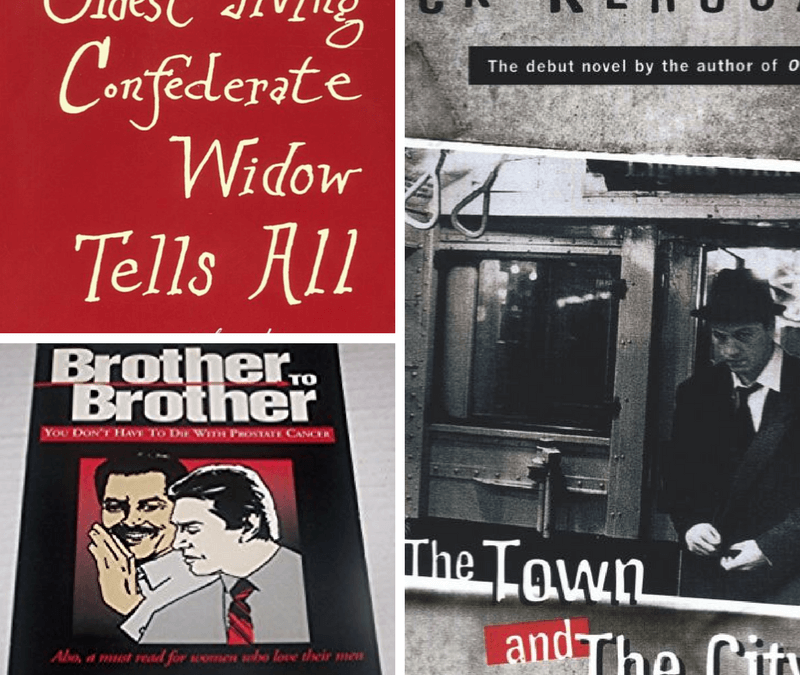 He was the editor of the New Stories from the South, an annual collection of Southern fiction. Allan has appeared on North Carolina Bookwatch on UNC-TV and at Meet the Author in New Orleans. A resident of New York for many years, Allan has returned to his home state and lives in Hillsborough. Born Jean-Louis Kerouac in Lowell Massachusetts in 1922, Jack Kerouac grew up through the Great Depression. He served in the Merchant Marines during World War II. After the war, he traveled and settled in New York City to be where his favorite writer Thomas Wolfe had lived. He also traveled the country and worked at times for the railroad. Jack became a writer and spent some of the most productive years of his life between New York and Rocky Mount. Jack’s sister Carolyn had married Paul Blake and was living near Rocky Mount. His family lived on Tarboro Street in Edgecombe County before moving to the Big Easonburg Woods. 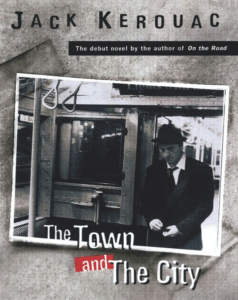 Kerouac’s debut novel in 1950 was The Town and The City. He wrote about life often using familiar places to him as the backdrop though not in name but spirit. While living in Rocky Mount, he composed his most famous work, On the Road. It was published in 1957 and has never gone out of print. He also wrote about the area in another book, The Dharma Bums. There are hints of Rocky Mount in both novels. Kerouac is considered to be the father of the Beat Generation, a new style of writing and that appeared in the 1950s. He was one of the most significant writers of the 20th century. You can learn more about Kerouac in John Dorner’s 1991 work Kerouac: Visions of Rocky Mount. Born in Edgecombe County after World War II, Thomas Lorenzo Walker graduated from G.W. Carver High School in 1966. He then earned a Batchelor of Theology from Shaw Divinity School and his Master and Doctoral degrees in Divinity from the Eastern North Carolina Theological Institute. He later earned a Doctor of Humane Letters from United Christian College. Rev. Walker has been pastor of Ebenezer Baptist Church in Rocky Mount for 40 years, but he has also been active in his community. He was one of the first African American Commissioners elected in Edgecombe County and served for three terms. Later, he served as the field representative for Congresswoman Eva Clayton. He founded the Edgecombe Nash Political Caucus which focuses on voter registration. He also founded EBC ATOM, a non-profit that focuses on housing, health and community outreach. He has served as president of the Greater Rocky Mount Ministers Council. His proactive stance in community relations during the Civil Rights era earned Walker the Order of the Long Leaf Pine from Governor James Hunt in 1981, a Community Service Award in 1991, and an Outstanding Service Award in 1996 from the Edgecombe County Involvement Council. In the past decade, his honors include recognition by Gov. Michael Easley for Chairing the Martin Luther King Jr. Commission in 2001, the Black History Heritage Peace Keeper Award in 2002, an Outstanding Service Award in 2004 from the General Baptist State Convention, the Shaw University Alumni Association’s Citizen of the Year, and the Humanitarian Award for Outstanding Service in 2009. After recovering from prostate cancer, the Rev. Dr. Walker authored Brother to Brother – You Don’t Have to Die of Prostate Cancer, and created Project EMPOWER which is Empowering Men through Prostate Organ Wellness, Education, and Recovery, and “Save the Seed” a national campaign which encourages men over 40 to get an annual prostate exam. Give the Gift of Knowledge through books this holiday season. We are a group of Edgecombe and Nash counties residents committed to preserving and celebrating our diverse history of Edgecombe and Nash counties. Support us today with a gift.